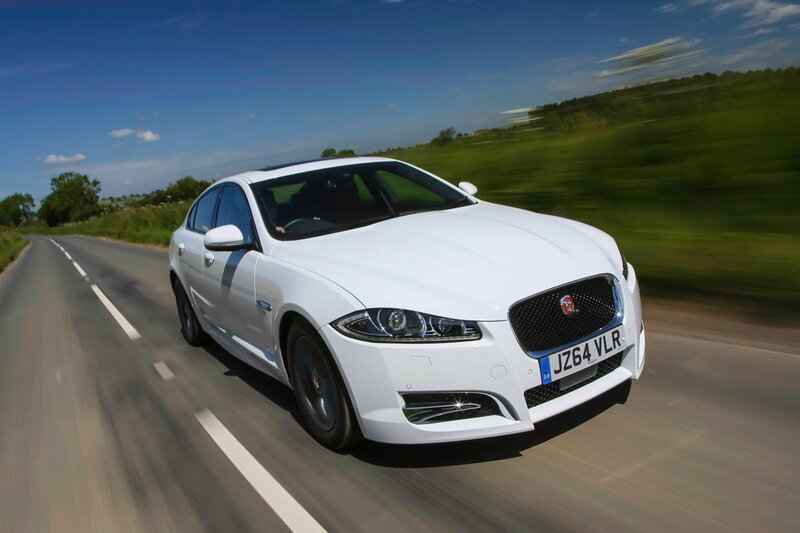 Jaguar announces XF R-Sport Black edition | What Car? Jaguar has added a new version of the XF and announced trim upgrades to the range ahead of the launch of the all-new model in spring. The new XF R-Sport Black will start from £38,350. That's £2100 more than the standard R-Sport on which it is based, but it gets £8770 worth of upgrades. The R-Sport Black is powered by Jaguar’s 197bhp 2.2-litre turbocharged diesel engine and has 20in Black Kalimnos alloys, a 770W Meridian Surround Sound system, leather interior, sports seats with memory function and a choice of five paint options. Other changes in the XF saloon and Sportbrake range mean all models will now come with the Winter Comfort Pack and Parking Pack as standard, which together include heated seats and windscreen, front parking sensors and a rear-view camera. A blind spot monitor system will come as standard on Portfolio, Diesel S Portfolio, XFR and XFR-S models, but SE, SE Business and Premium Luxury trims have been discontinued, as have the 3.0-litre V6 petrol and 3.0-litre TDV6 diesel engines. The revisions come ahead of the launch of an all-new XF, which is due to be unveiled at the New York motor show in April.